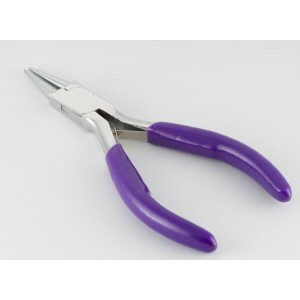 Today I wanna shared about ROUND NOSE PLIERS & FLUSH CUTTERS. 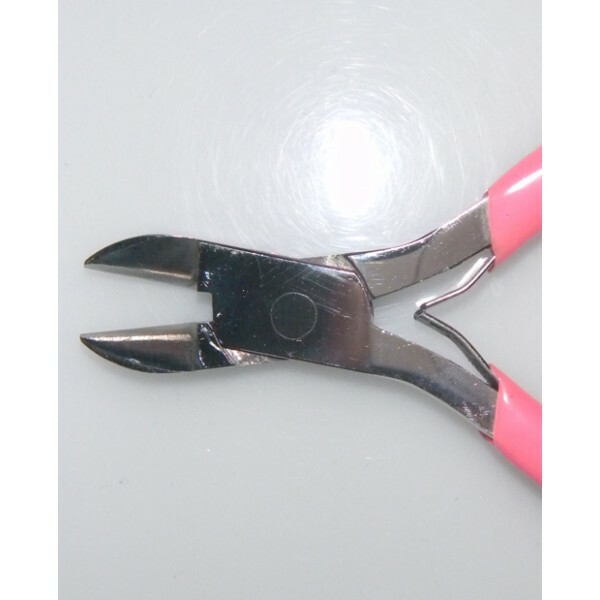 I’m sure if you’re making jewelry, you’re familiar with these pliers. 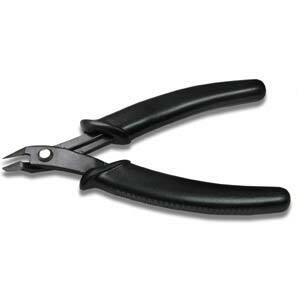 Next round nose plier and cutter plier of mine was a gift. I participated in a challenge held by Nilma Hoffman, one of my fave jewelry artisan. She challenged us (new wire workers) to make flower theme jewelries. I submitted an entry. 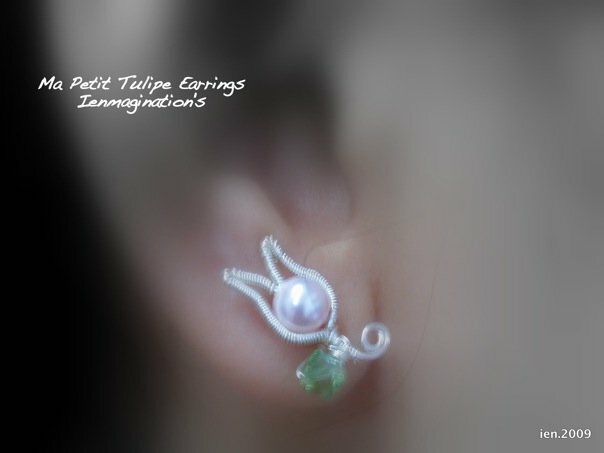 A simple tulip earrings. And.. erm.. I won the basic category :p Nilma sent me these pliers as the prize. Here they are, my round nose plier and flush cutters! For you who doesn’t familiar with these tools, here are some brief explanation for them. They are basic tools you need for jewelry making. 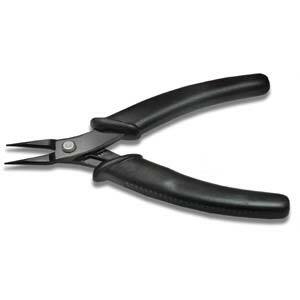 Round nose pliers are pliers with conical jaws and are used for making loops in wire. I used this pliers to make ear wires, loops, eye pins, swirls, curves, spirals, and almost everything! Meanwhile ordinary wire cutter leaves both end of cut wire sharp and pointed, a flush cutter is leaves one end of the cut wire flush or flat, while the opposite end of the cut wire is sharp or pointed. It gives clean and tidy look to your jewelry!! See you on next Tuesday Tools!